Member organizations come in many shapes and sizes, and often have to balance a number of different roles. For example, your member organization might serve food, sell clothing, and offer memberships – meaning that you need an EPOS able to handle the load. This is exactly what you’ll get with AccuPOS EPOS, which is able to perfectly handle all demands in an easy-to-use, intuitive way. Now you can get back to what matters most – making sure your members return year after year. 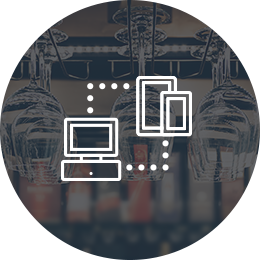 If there’s one way to describe our Electronic Point of Sale, it’s “versatile”. 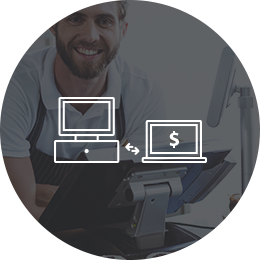 Heavy transaction loads are handled like a breeze, unlimited screens can be added wherever you need them, and it works perfectly with both PC and Android devices. What’s more, it can do something very clever indeeed – it is able to switch between different keysets, one of which might be for food, another of which could be for clothing. 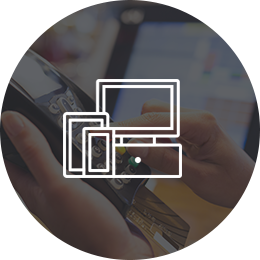 This means you have unlimited EPOS systems, all rolled into one impressive bundle. But there’s still more, as AccuPOS EPOS is also mobile, so you can take your EPOS with you, wherever you happen to be. Like we said – versatility. Managing a members organization is often a thankless task, involving a seemingly never-ending amount of paperwork and admin. With our EPOS software though, you can take this burden home with you, and at least complete some of your tasks from the comfort of your own sofa. One simple log-in allows you to access all the information you need, from member details through to sales reports, so you’ll be able to complete jobs perfectly. AccuPOS EPOS really does help you get that work-life balance a little more even. Sometimes there just doesn’t seem to be enough time in the day, but you’ll claw this time back when you install AccuPOS EPOS. You’ll be able to track and manage inventory, get staff to clock in and out automatically, and perhaps most importantly, integrate your EPOS with your accounting software. This accounting integration means no more lengthy sessions entering data by hand, and more time around your members, ensuring they enjoy every second of their membership. Don’t take our word for it though – ask Sage and QuickBooks Marketplace, both of which have ranked us as the best EPOS around!